Authorities Tuesday sought the public’s help in finding a missing 20-year-old Los Angeles man who has autism and was last seen in Santee. Joseph Swett was last seen at a motel in the 10700 block of Woodside Avenue shortly after 3 p.m. Monday, according to the San Diego County Sheriff’s Department. His image was posted on Missing Persons of America. 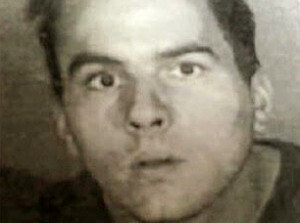 Swett was staying at the motel with his mother and brother after having arrived in Santee from Los Angeles to attend a Christian college for two weeks. His mother and brother left the motel room to get lunch, leaving Swett behind to take a nap, authorities said, adding when his relatives returned, Swett was gone. Swett was described as white, 5 feet 10 and 150 pounds, with brown hair and brown eyes. He was last seen wearing a bright orange shirt, red shorts and black shoes, authorities said. Anyone with information about his whereabouts was asked to call the Sheriff’s Department at (858) 565-5200.